The E-664 piezo amplifier and servo controller is especially tailored to the operating requirements of the P-611.3S NanoCube® XYZ nanopositioning system. 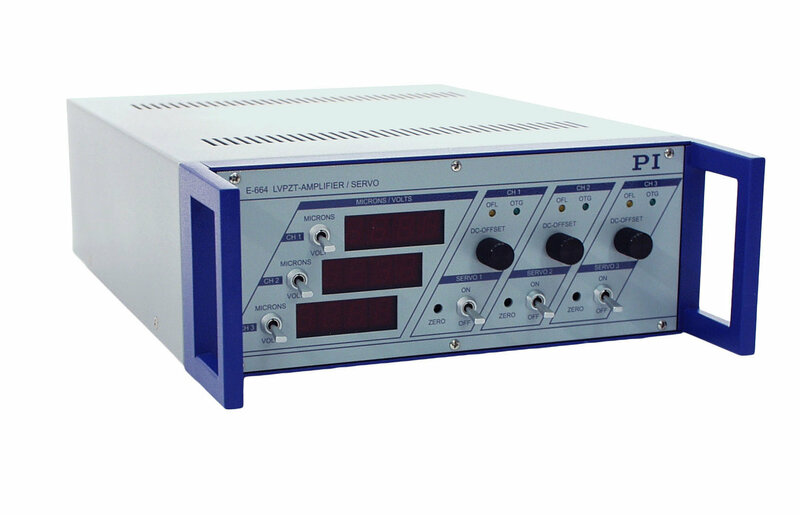 Three powerful and low-noise piezo amplifiers and the control electronics with instrument amplifiers for high-resolution strain gauge sensors allow a position resolution up to 2 nm as well as dynamic operation. The combination of the E-664 controller and P-611.3S NanoCube® makes it an inexpensive system for 3-D nanopositioning.